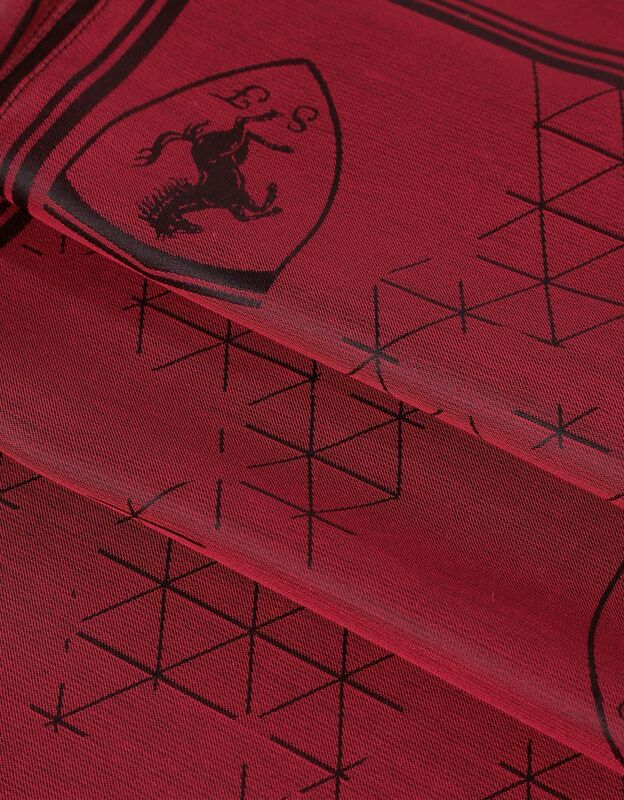 The Scuderia Ferrari scarf with a racing-inspired camouflage pattern features jacquard knit. 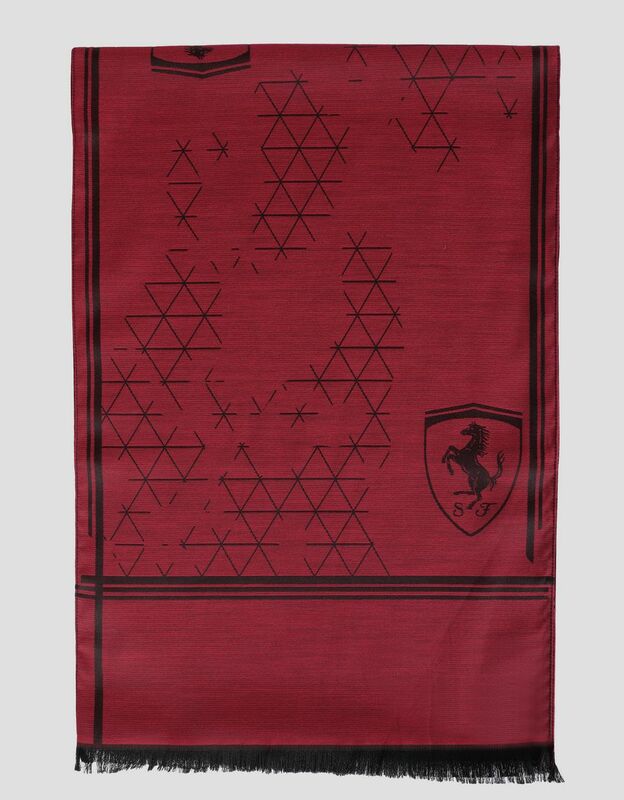 The original print showcasing the Ferrari Shield enlivens this polished athletic accessory. 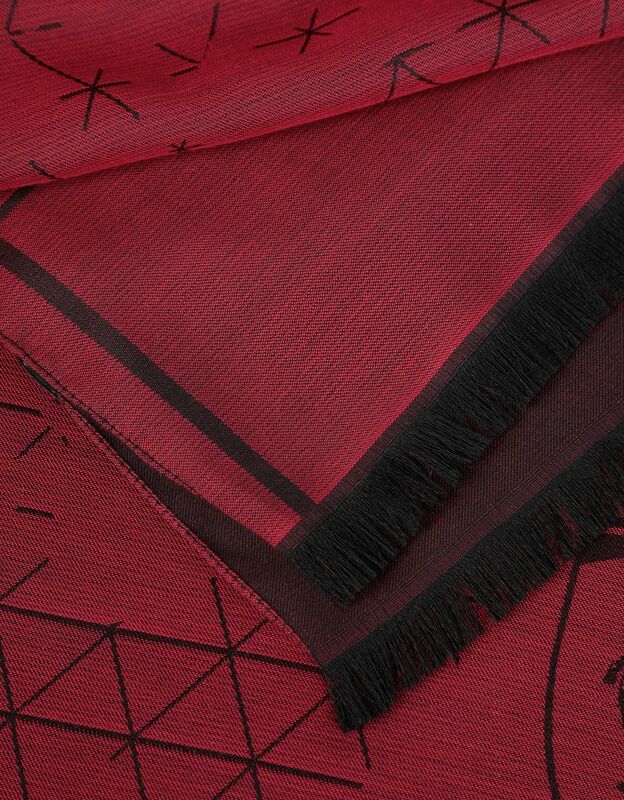 Fine fringe embellishes the ends to emphasize its casual attitude. 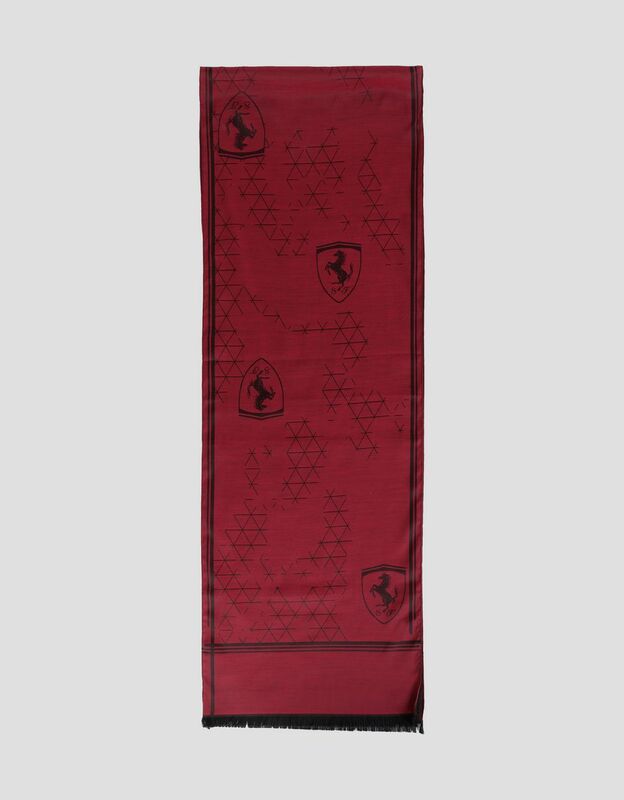 100% made in Italy, the Scuderia Ferrari scarf is designed to pair with fans’ trackside looks, but it’s also perfect for urban outfits.